Although I think that the HMxDesigner collections are quite interesting, I usually don’t go all fan girl over them. 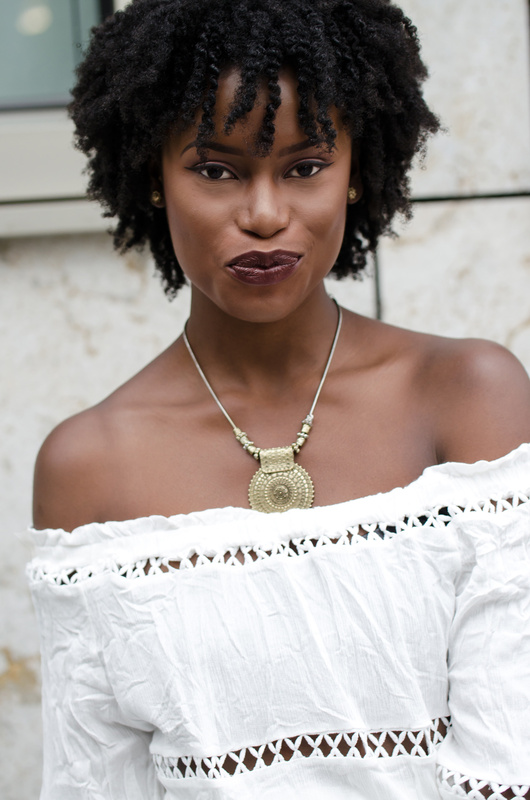 I really loved the HMxErdem collection from last year and even got several pieces I am absolutely obsessed with. When H&M released the info that the next collaboration was going to be a HMxMoschino collection, I can’t lie, I was super excited. I adore Jeremy Scott and his crazy designs which I feel are a breath of fresh air and just pure fun! 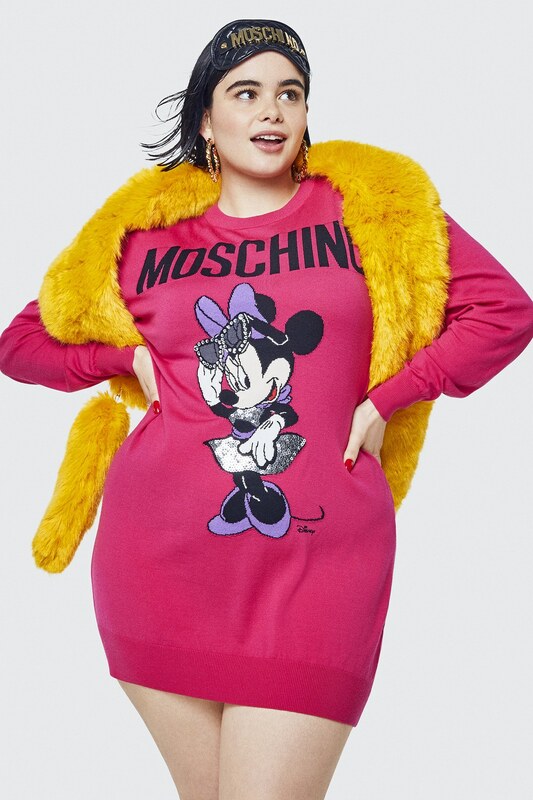 A couple of days ago H&M and Moschino released the HMxMoschino campaign and lookbook which was shot by Steven Meisel and Marcus Mam and styled by Carlyne Cerf de Dudzeele. The lookbook shows a lot of playful designs and accessories (like the moschino bag right above). The clothing’s mostly in dark base shades with colorful graphics and gold highlights. There are some exciting denim pieces as well. The HMxMoschino collaboration is going to be sold Nov. 8. Here you have a sneak peek of the lookbook! Going through it makes me so much more excited for the collection. So I better get up to saving some coins, so I’ll be ready when the collaboration drops. There are several pieces that I really, like really, really want, which I’m probably going to have to fight for (lol). Some of the items I’m particularly obsessed with are the denim skirt, the bags (yeah, I really do want all the bags) and the hoodies. You can find the whole lookbook here. 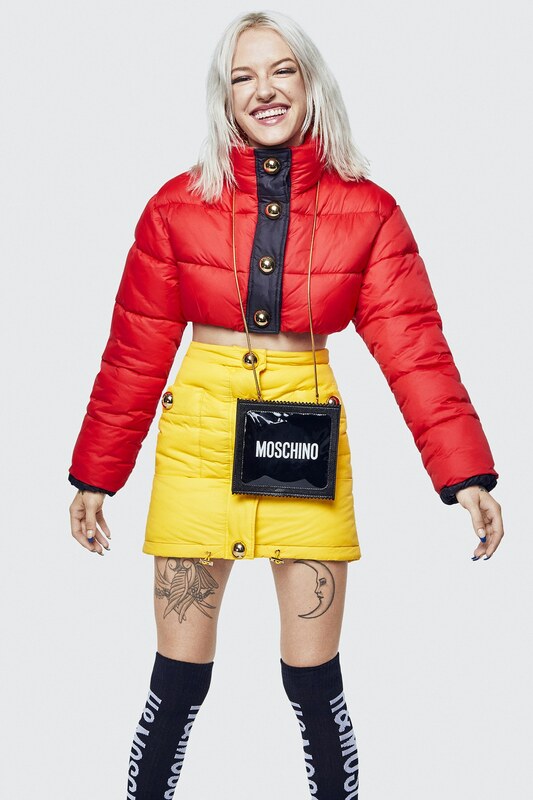 Let me know down below how you feel about the HMxMoschino collection and the pieces!